With half a billion dollars in public-sector marketing budgets coming under his discretion, the fiery former Army captain is threatening to slash ad buys with adversarial media groups, striking at the financial foundations of Brazil's free press. After a campaign in which Bolsonaro dismissed investigative reporting as "fake news" invented by a corrupt establishment and his supporters went after individual journalists, the threats are sending a chill through the country's newsrooms. Asked in a TV interview last week if he would respect press freedom even for his favorite foil, newspaper Folha de S.Paulo, Brazil's largest circulation daily, Bolsonaro's answer was curt. "That newspaper is done," Bolsonaro said in a tense TV Globo interview. "As far as I'm concerned with government advertising — press that acts like that, lying shamelessly, won't have any support from the federal government." Several seasoned journalists working for Brazil's biggest news organizations told Reuters in recent weeks they have started to throttle back their criticism, fearing backlash from a Bolsonaro government — and violence from his supporters. Brazilian press watchdogs said there has been an escalation of threats and aggression against reporters. Investigative journalism group Abraji began tracking the incidents in Brazil's most polarized election since the return to democratic government in 1985 after two decades of military dictatorship. 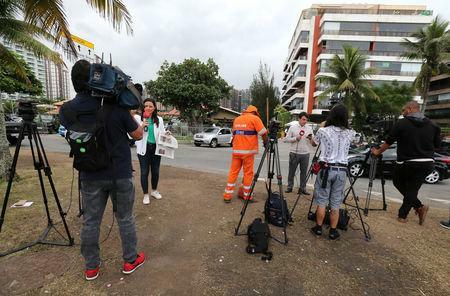 "Treating the press as an antagonist is not a new tactic, but the aggressive tone and frequency of Bolsonaro's attacks are very worrying," said the group's coordinator, Marina Atoji. Bolsonaro's supporters said the Brazilian media has a leftist bias and they have turned to social media for news about him. "The worst thing was they tried to crucify Bolsonaro for his controversial statements on women, gays and blacks," said Emilio Kerber, an Air Force major who ran for Congress in Bolsonaro's small coalition. "But Bolsonaro has millions of followers on social media and he won anyway." In Folha's newsroom, the sense of siege is palpable. 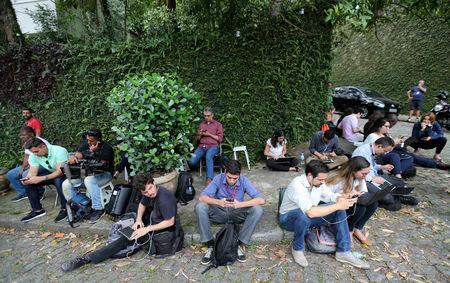 Executive Editor Sérgio Dávila said in an interview the paper has taken security measures to protect its reporters after a social media barrage by Bolsonaro supporters over reporting on his campaign's use of messaging platform WhatsApp. "This is the most tense recent election, because the massive use of social media has meant journalists are more exposed to the supporters of the candidates," he said. 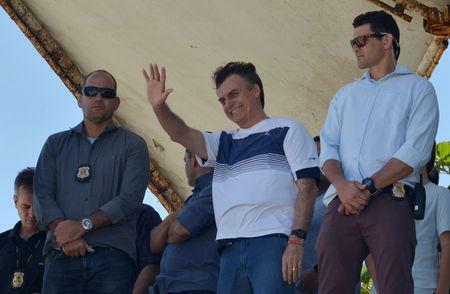 "Bolsonaro voters are particularly active on social media," Dávila said, adding that he had never seen such vitriol directed at individual journalists over specific stories. After billionaire media mogul and preacher Edir Macedo threw his support behind Bolsonaro, his Record TV network increased coverage of the right-winger's rallies. It stepped up criticism of leftist challenger Fernando Haddad and played up stories of corruption in his Workers Party, said one former employee, who requested anonymity for fear of retaliation. "It wasn't something we asked for. It wasn't a campaign organized by the newspaper," Dávila said. "They basically said: 'Folha does critical journalism. Bolsonaro is attacking Folha. I'm going to subscribe to Folha out of solidarity.'"